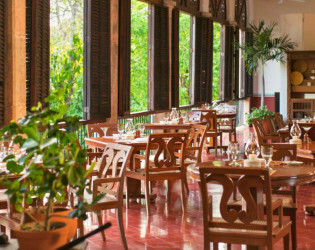 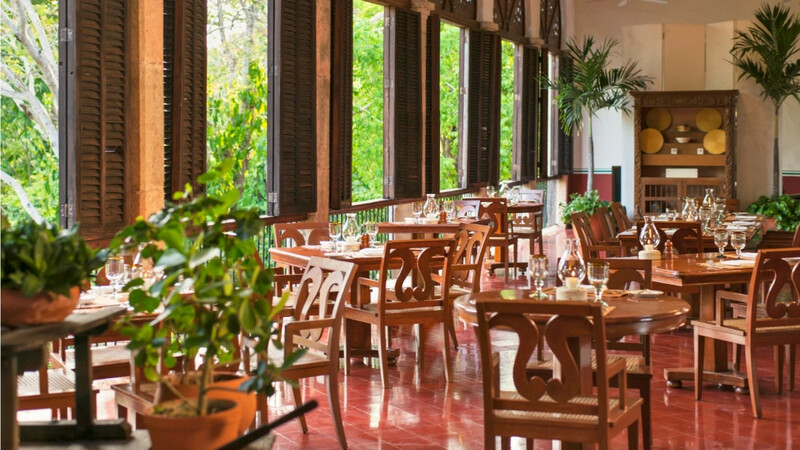 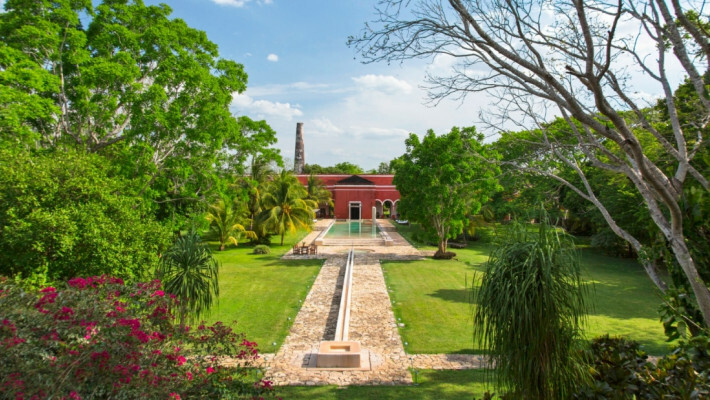 A hacienda built of coral walls and white moldings awaits you in the tropical rainforest ambience of the Yucatan peninsula. 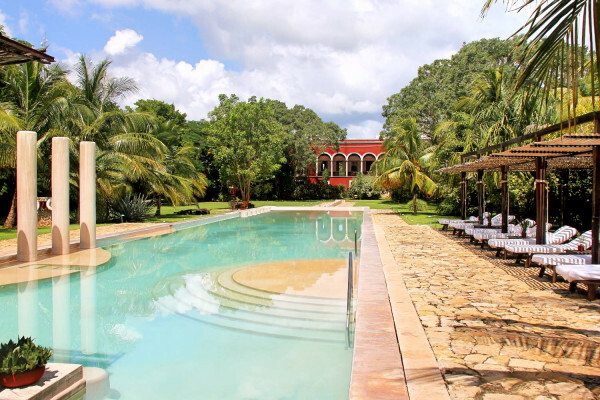 A hacienda built of coral walls and white moldings awaits you in the tropical rainforest ambience of the Yucatan peninsula. 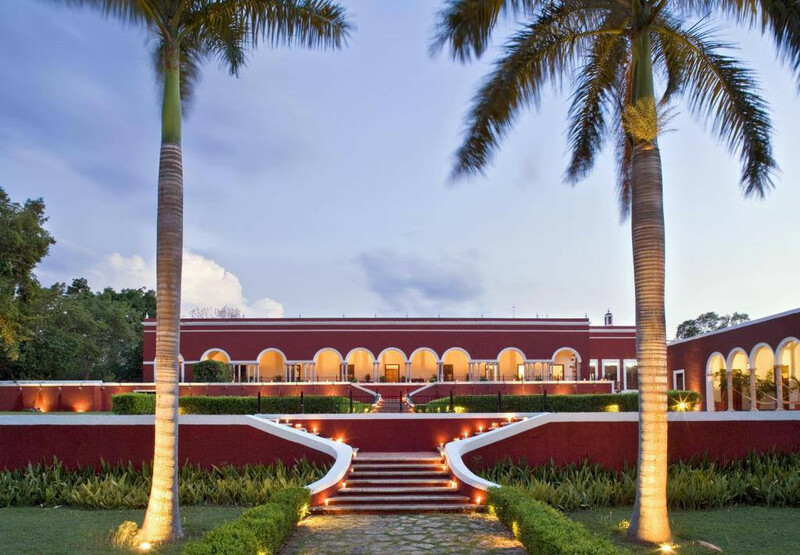 Discover the beauty of ancient Mayan architecture through this enchanting luxury hotel located in the heart of the Yucatan Peninsula. 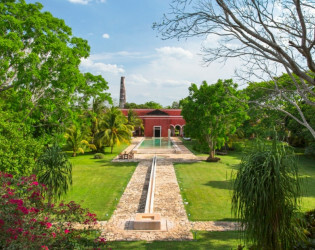 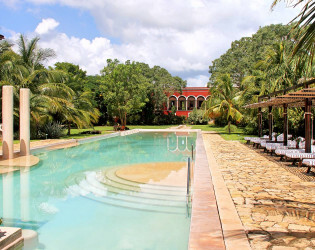 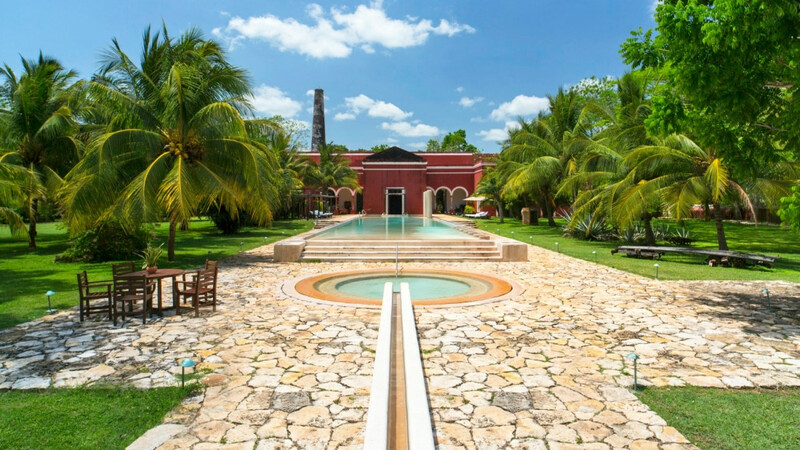 Renowned for its premier services, Hacienda Temozon invites you to experience the most invigorating massage therapy the Yucatan Peninsula has to offer. 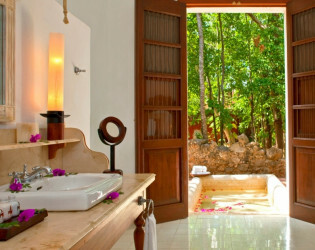 Creamy pastels and a lush sub-tropical jungle welcome you to Hol Be Spa. 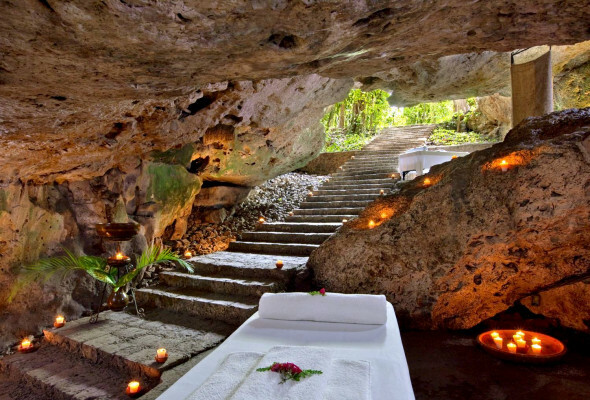 Relax among natural rocks in a soothing candlelit cenote, featuring pristine massage beds, flower petals, and indigenous spa products. 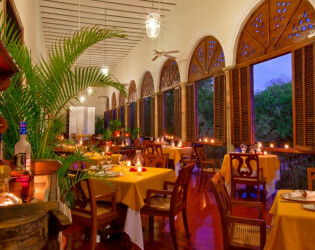 In the evening, indulge in a romantic dinner in the perfect hideaway complete with twinkling candles and the singing of birds. 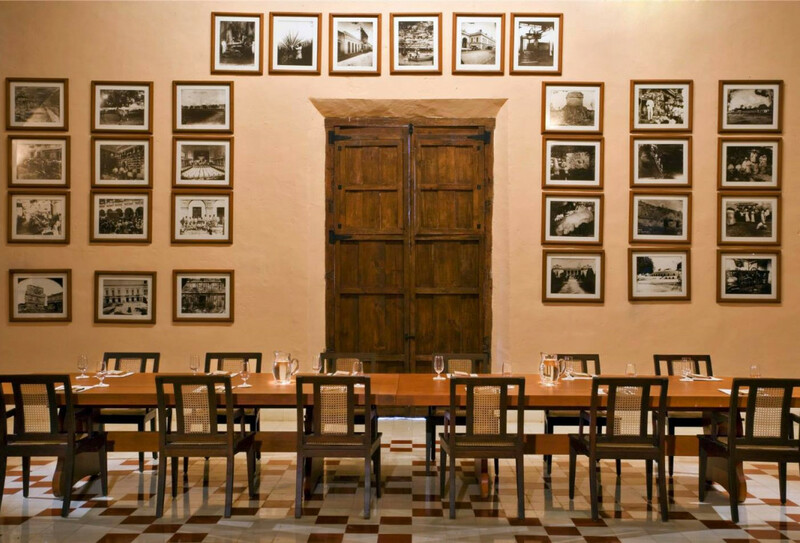 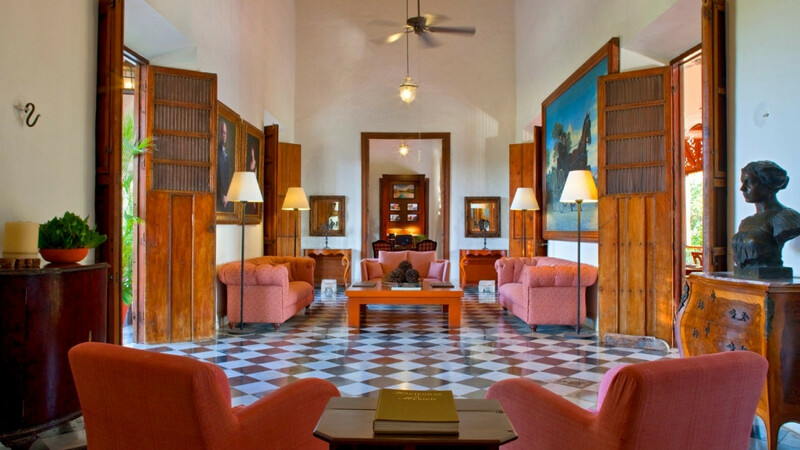 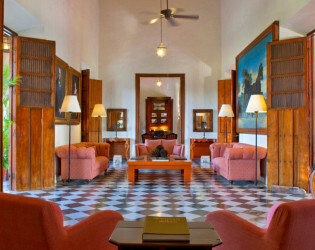 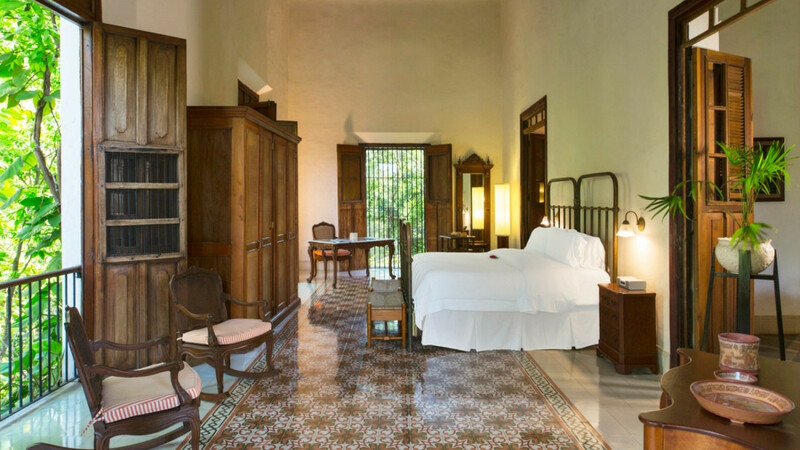 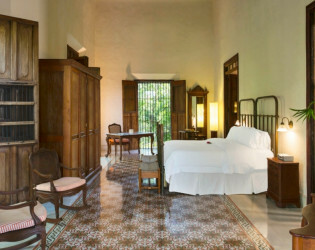 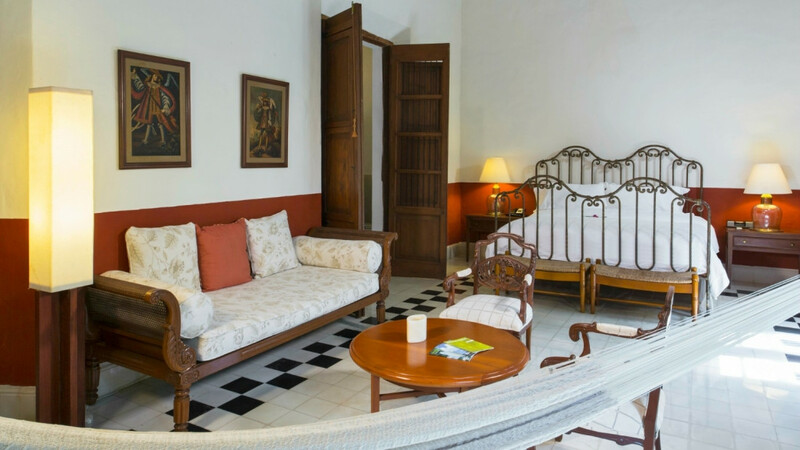 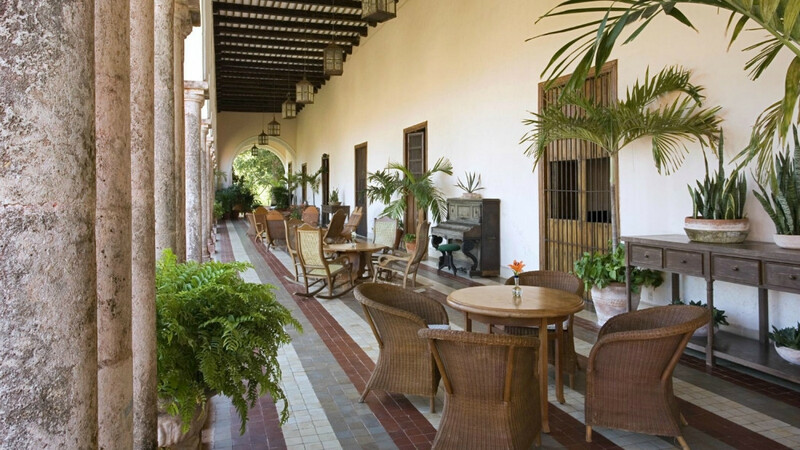 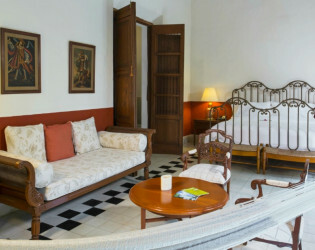 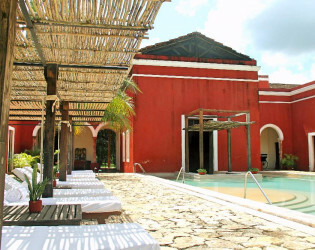 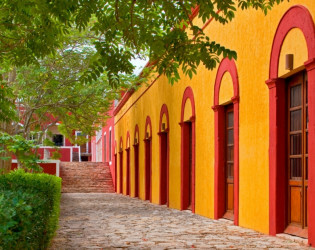 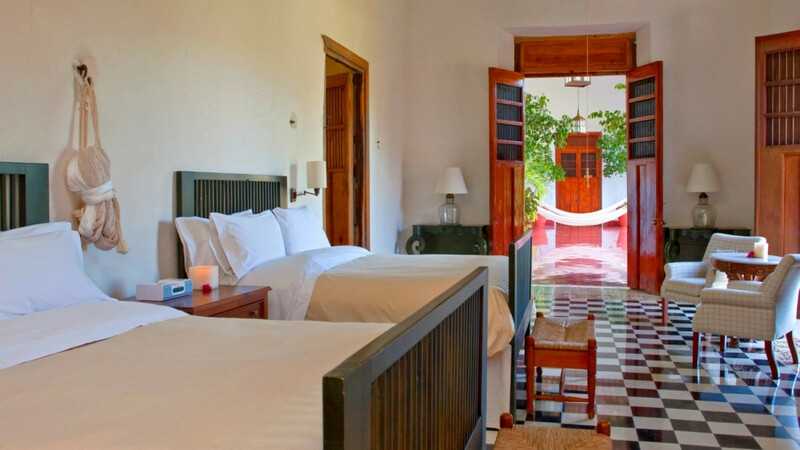 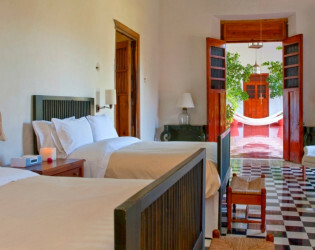 Experience the belle époque of the Mexican southeast; amaze yourself with this former sisal residence of the 17th Century with 28 rooms. 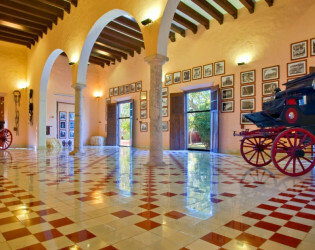 Temozón has a consecrated Chapel for Catholic weddings. 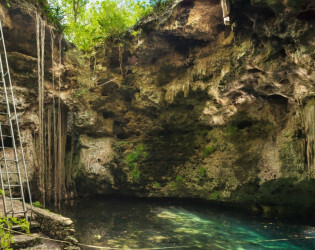 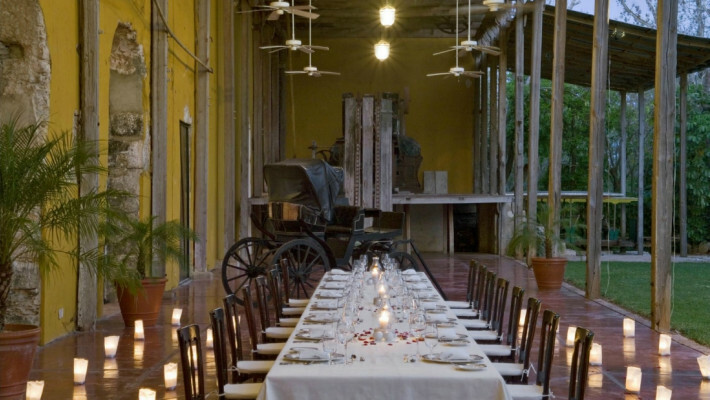 You can also choose to celebrate a Mayan wedding in our private Cenote or use the front garden for a civil wedding. 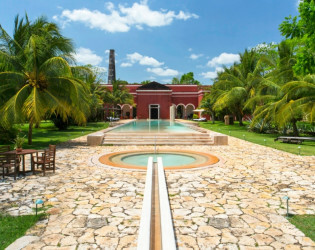 Host a cocktail party throughout the main terrace or at the horse stables and then guide your guests to a savory banquet in the back garden with a capacity for over 1,000 people. 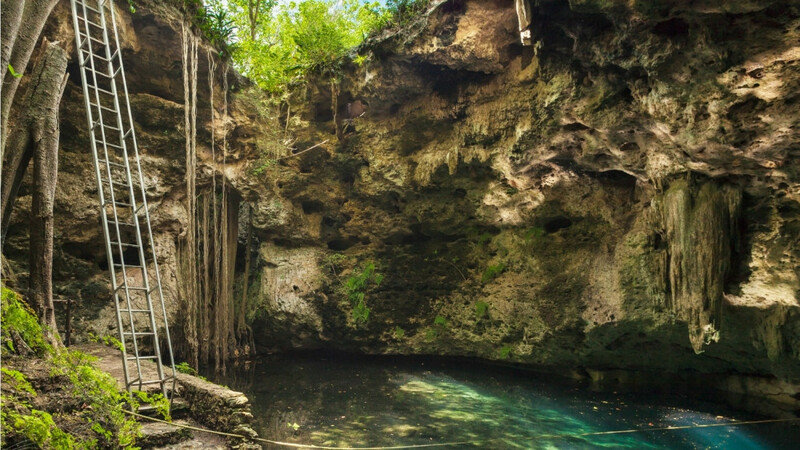 You can also choose to celebrate a Mayan wedding in our private Cenote or use the front garden for a civil wedding. Each hotel and resort is a distinct and powerful expression of its location, a jewel-like treasure to be savored, celebrated and collected. 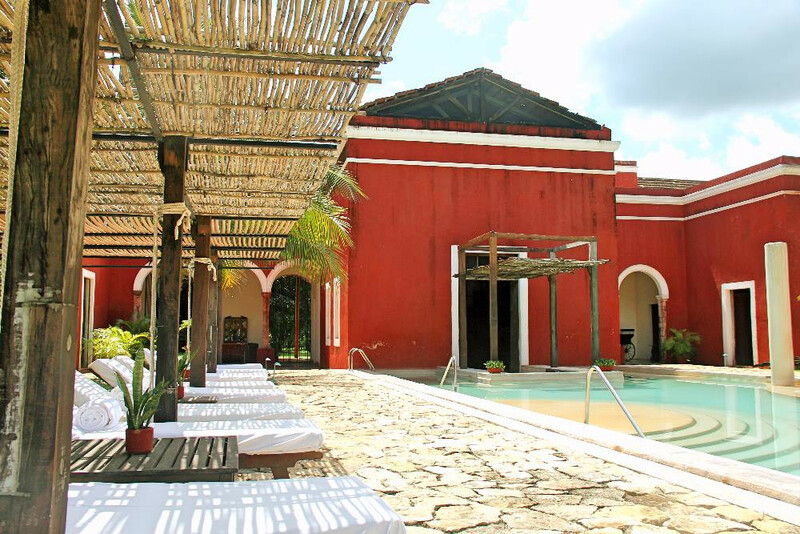 Experience the belle époque of the Mexican southeast; amaze yourself with this former sisal residence of the 17th Century with 28 rooms. The Luxury Collection is the curator of the world’s most enriching and desirable destination experiences, the key that unlocks some of the most authentic locales. 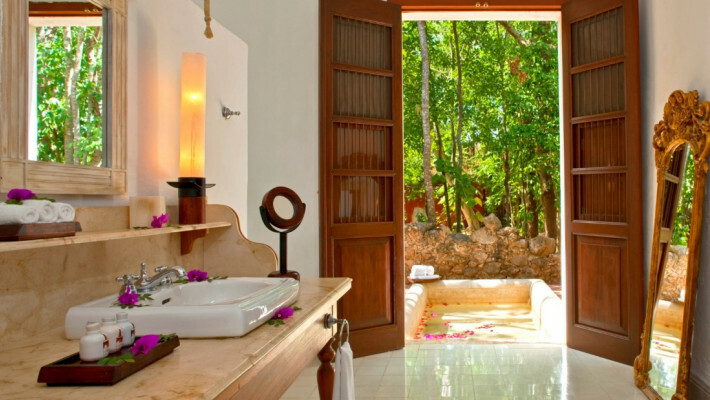 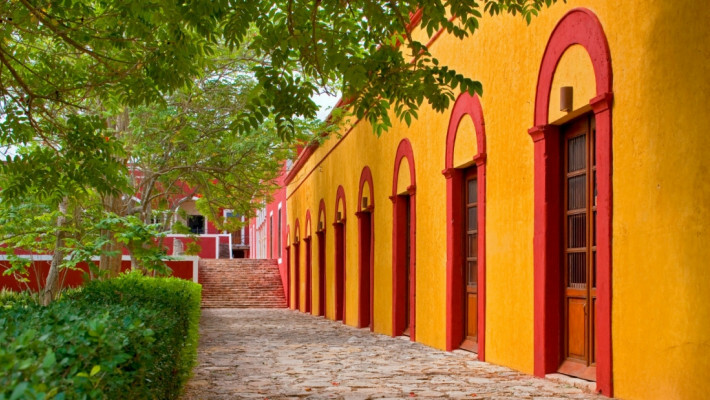 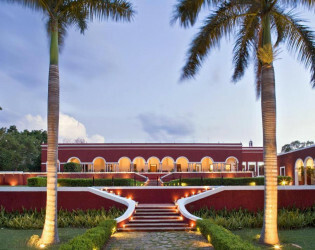 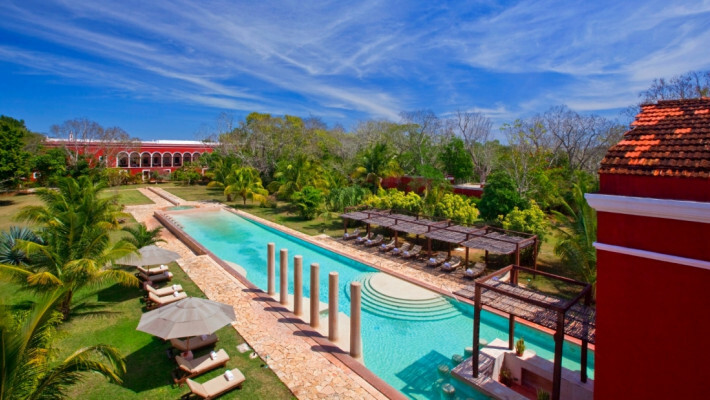 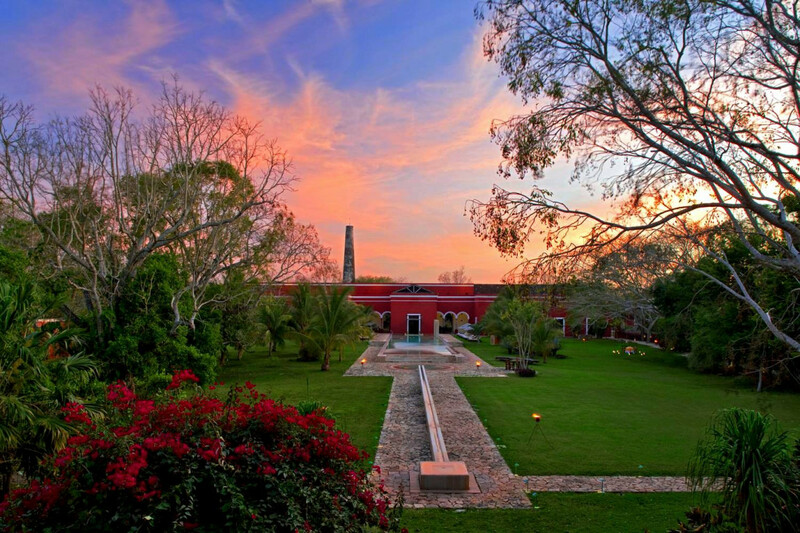 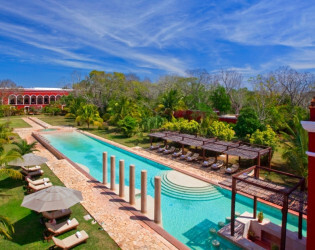 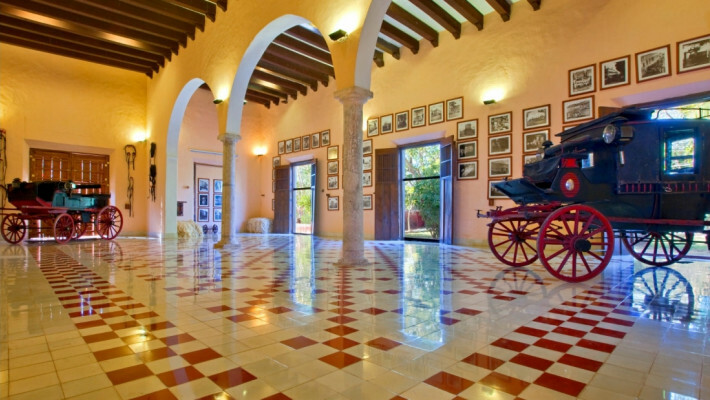 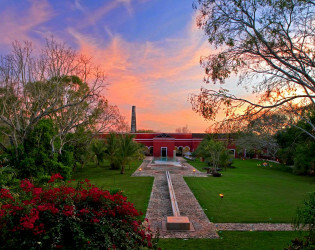 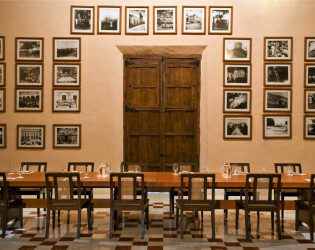 Hacienda Temozon invites you to experience the most invigorating massage therapy the Yucatan Peninsula has to offer. 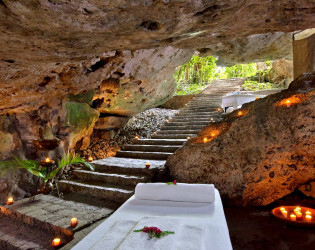 Relax among natural rocks in a soothing candlelit cenote, featuring pristine massage beds, flower petals, and indigenous spa products. 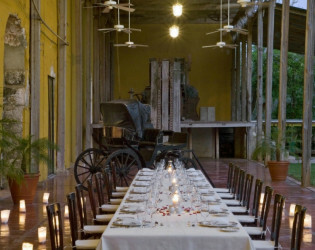 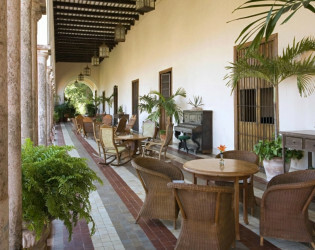 Host a cocktail party throughout the main terrace or at the horse stables and then guide your guests to a savory banquet in the back garden with a capacity for over 1,000 people. Sun setting over the beautiful red architecture. 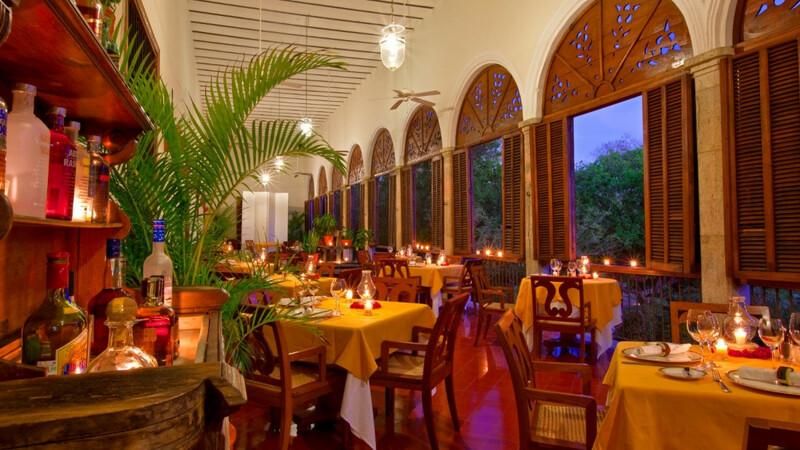 In the evening, indulge in a romantic dinner in the perfect hideaway complete with twinkling candles and the singing of birds. Explore dreamlike corners nestled between amazing archeological treasures and impressive surroundings along with extraordinary amenities designed to complement your wedding celebrations.